The logo for the XVI Pacific Games has been revealed by the Minister of Education, Sports and Culture, Loau Keneti Sio. 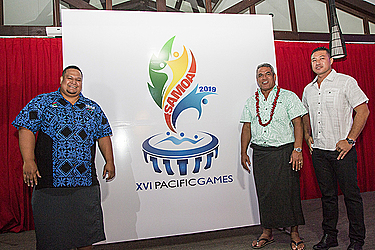 In doing so, Loau declared that Samoa is ready for the Pacific Games next year. With the theme “Samoa welcomes the Pacific Games,” the logo was designed by Fresh Levin Kennar and Suivu Ma Yuen of Signs Studios. Their work caught the eye of the judging panel comprising people with expertise in marketing, communications, advertising production and design. It was the responsibility of the judges to recommend a winning logo design that was later approved by the Games Executive Committee and the Pacific Games Council. 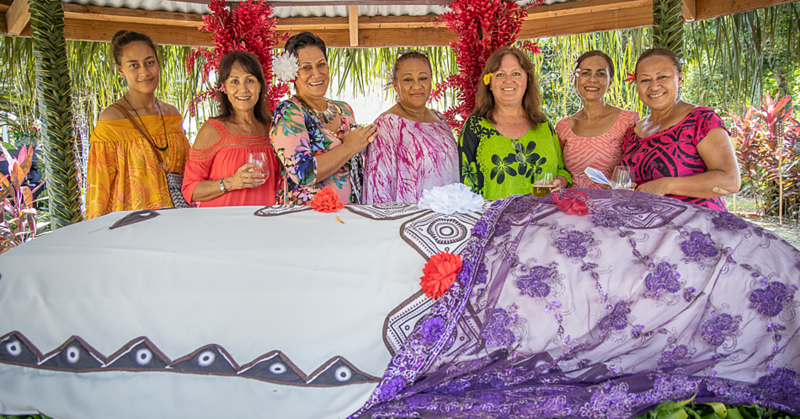 They explained the tanoa or kava bowl is a universal concept throughout the Pacific and is used for auspicious occasions and ceremonies, as well as everyday life. The motif used in the logo concept is to depict a spirit of unity and commonality across the Pacific. 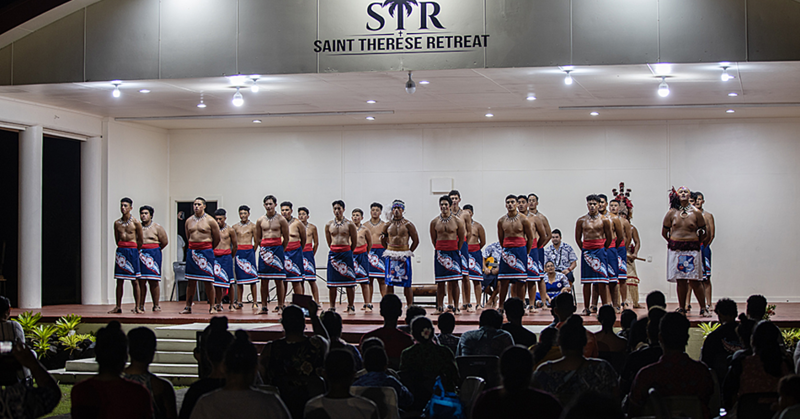 “In Samoa, we use the tanoa for welcoming ceremonies, thus the message this conveys is ‘Samoa Welcomes the Pacific Games’, which carries with it the connotations of tradition and hospitality." “Inside the tanoa sits the Pacific Games logo, acknowledging the entity that has given Samoa the right to host. Bursting from the Tanoa is a flame which represents the Holy Spirit and the place of Christianity in Samoan culture and society. Inside this you can see sporting icons." Minister Loau congratulated the designers of the logo. “I would like to quickly reflect on our journey so far,” he said. 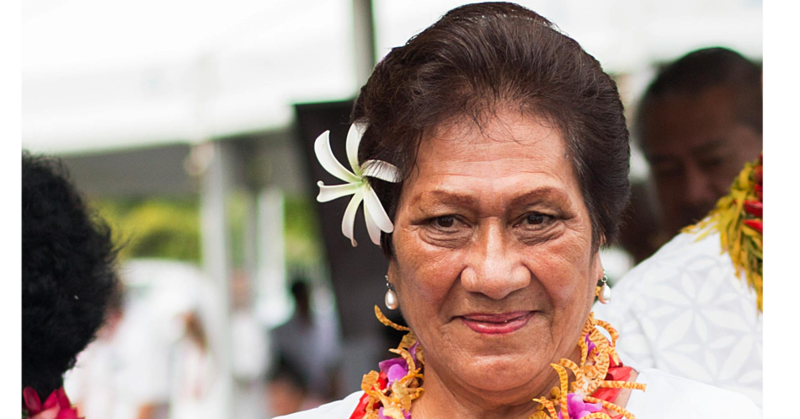 “In September last year, Samoa was awarded the right to host the Games. With time against us, Samoa has had to think outside the box, to use creativity and innovation in order to meet the challenge of successfully hosting these Games. And I’m proud to say that our people are up for that challenge." “Many might wonder why? Why is it that we, Samoa, decided to bid for the right to host especially with the immense time pressure? My response is because sport is what we do. We love it. It is in our D.N.A." Loau adds their prayer is that the launching of the logo breathes life into the national sports sector and with the hope for the same for all their Pacific partners who were present during the night. “Tonight (Friday) as I look around the room, I know you would all agree that we are all gathered here because we all recognise the power of sport to unite people. To overcome barriers such as race, gender and language, sport is a powerful lever to unlock the many issues that we as Pacific nations are confronted with on a day-to-day basis." Pastor Lenny Solomona, who spoke during the gathering, believes unity, partnership and passion makes a difference with the purpose of each person. “Passion; nothing great has ever been achieved without passion and people with passion can take the impossibility and turn it into a possibility. You know why? Because passion speaks of our energy levels and if you want to fulfil this purpose and what to fulfil the goal of why everyone is here tonight, you need to put in some energy. You need to put in some passion because passion is one of the great keys." “The purpose is far bigger and far greater than how we would think of how we are going to get this goal into fruition. Unity is all about oneness, understanding that we should all come together in unity."